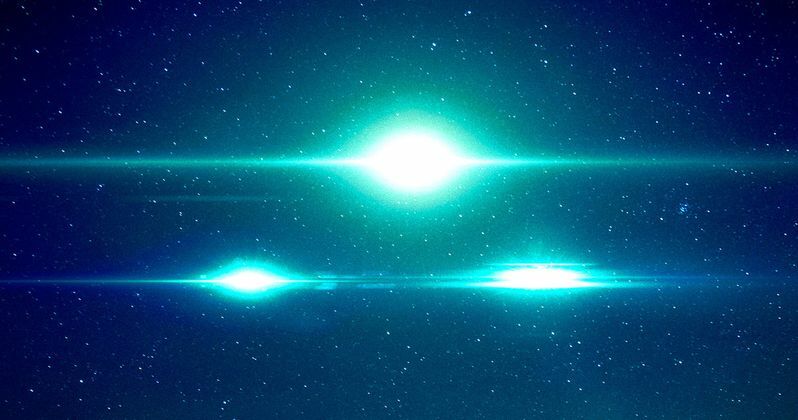 UFO and alien stories often make for great movies, with classics such as E.T., Close Encounters of the Third Kind and the recent hit Arrival all revolving around extra-terrestrial visitors. Truth can often by stranger than fiction, though, with a new documentary entitled Unacknowledged attempting to unlock the secrets of real UFO discoveries that the U.S. government has tried to keep hidden for decades. Today we have the first trailer for this upcoming documentary, where Dr. Steven Greer discusses the Roswell alien landing and much more. Unacknowledged focuses on the historic files of the Disclosure Project and how UFO secrecy has been ruthlessly enforced, and why. The best evidence for Extraterrestrial contact, dating back decades, is presented with direct top-secret witness testimony, documents and UFO footage, 80% of which has never been revealed anywhere else. The behind-the-scenes research and high level meetings convened by Dr. Steven Greer will expose the degree of illegal, covert operations at the core of UFO secrecy. From briefings with the CIA Director, top Pentagon Generals and Admirals, to the briefing of President Obama via senior advisor John Podesta, chairman of the Hillary Clinton Campaign, Unacknowledged takes the viewer behind the veil of secrecy and into the corridors of real power where the UFO secrets reside. The viewer will learn that a silent coup d'état has occurred dating back to the 1950s and that the Congress, the President and other world leaders have been sidelined by criminal elements within the Military-Industrial-Financial complex. While we don't see or hear from him in this trailer, which debuted today on The Orchard YouTube channel, this documentary is narrated by Breaking Bad star Giancarlo Esposito. Dr. Steven Greer has appeared in a number of documentaries such as Sirius, Thrive and The Day Before Disclosure along with the History Channel documentary series Ancient Aliens. Steven Greer founded the Center for the Study of Extraterrestrial Intelligence (CSETI) in 1990 and The Disclosure Project in 1993, which seeks the disclosure of allegedly suppressed UFO information. He retired as an emergency room physician in 1998 to devote more of his time to The Disclosure project, and his interest in aliens and UFO's goes back to when he was eight years old, when he claimed to have seen a UFO at close range. The Orchard will release this new documentary on Digital HD May 9, which will be followed by a VOD release on May 23. Michael Mazzola directs this documentary, which was written by Steven Greer and Stephen Peek. Steven Greer also produces with Jim Martin, Stephen Peek, Grant Ibrahim and Chris Crescitelli. In addition to the new trailer, we also have the first poster for Unacknowledged, which you can check out below. Alien Mummy Found in Peru, Is It a Real Extraterrestrial?